Bonus: Learn how to start investing. Use your tax refund to make money grow. How does the rest of America fare? What can you expect? 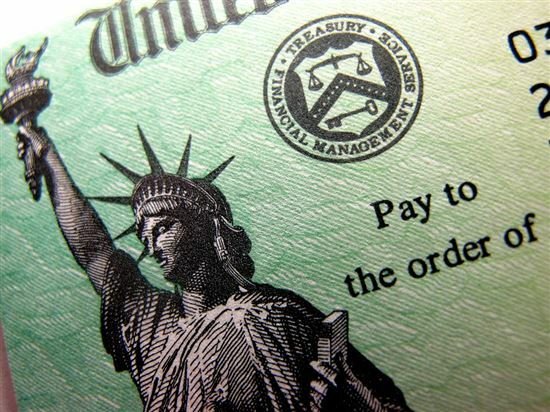 Read this interesting report to learn more about income tax refunds and where you stand. The average tax refund in 2017 was $2,763. That is a 1.9% increase over last year's average refund of $2,711. What is the average percentage of tax refund? With an average tax refund of $2,763 and median income of $57,617, the average taxpayer's refund is around 5% of their annual salary. What is the average tax refund for a single person making $30,000? Based on our estimates using the 2017 tax brackets, a single person making $30,000 per year will get a refund of $1,556. This is based on the standard deduction of $6,350 and a standard $30,000 salary. What is the average tax refund for a single person making $40,000? We estimated a single person making $40,000 per year would receive an average refund of $1,761 this year. We used the standard deduction and a basic $40,000 salary for computation purposes. What is the average tax refund for a single person making $50,000? 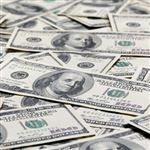 A single person making $50,000 will receive an average refund of $2,593 based on the standard deductions and a straightforward $50,000 salary. What is the average tax refund for a single person making $60,000? A single person making $60,000 per year will also receive an average refund of $2,593 based on the 2017 tax brackets. Taxpayers with a $50,000 or $60,000 salary remain in the same bracket. What is the average time it takes to get a tax refund? In general, the IRS issues refunds in 21 days or less after receipt of your income tax returns if you submit them electronically. Mailed-in returns can require between 6 and 8 weeks for a refund. How many taxpayers receive a refund per year? On average, 108,000,000 taxpayers receive a refund each year. What is the average gross income per tax return? In 2015, the IRS processed more than 150 million tax returns. They reported a total adjusted gross income of $10.17 trillion. This makes the average adjusted gross income per tax return around $67,000. What are the federal tax brackets for 2017? In 2017, the tax brackets increased to account for inflation. What is the standard tax deduction for 2017 for single taxpayers? The standard tax deduction for single taxpayers increased less than 1% from 2016. In 2017, a single tax payer can take a $6,350 standard deduction. What is the standard tax deduction in 2017 for married filing jointly taxpayers? Married filing jointly taxpayers can deduct $12,700 as a standard deduction. This is also less than a 1% increase over last year. What is the effective tax rate of taxpayers making less than $30,000 per year? Even though taxpayers making $30,000 fall within the 10% tax bracket, their average effective tax rate is just 4.9%. This takes into consideration the credits and deductions taxpayers can take to lower their tax liability. What is the effective tax rate of taxpayers making between $50,000 and $100,000? Taxes are progressive. The more you make the more taxes you pay. This is evident in the average 9.2% effective tax rate that taxpayers making between $50,000 and $100,000 pay. What percentage of taxes do the top 1 percent of taxpayers pay? The highest wage earners in the U.S. pay 39.5% of the total taxes received. To put that into perspective, the top 50% of taxpayers paid 97.3% of the income taxes. This leaves just 2.7% for the lower 50%. How much is tax on a $50,000 salary? The average single taxpayer with a $50,000 per year salary will owe an estimated $5,645 in taxes before any deductions or credits. How much do you get back for two dependents? In 2016, taxpayers could claim $4,050 per dependent. Two dependents would give you an $8,100 exemption. If you are in the 15% income bracket, this could save you as much as $1,215. What is the highest taxed state in the United States? Not surprisingly, California is the highest taxed state. They are also one of the most costly states to live in. The tax rate in California is an average of 12.3%. What is the lowest taxed state in the United States? North Dakota benefits from the lowest state taxes, with an average tax rate of 2.9%. 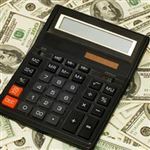 What percentage of property taxes are deductible? The percentage of property taxes you can deduct depends on your tax bracket. You can “claim” all of your property taxes. How they affect your taxes depends on your bracket. For example, a taxpayer who paid $5,000 in property taxes would save $750, but a taxpayer in the 28% bracket would save $1,400. What is the average state tax refund in New York? According to State Comptroller Thomas DiNapoli, the average state tax refund in New York is $846. A tax refund means you could lose money on potential interest or capital gains. Adjusting your withholding allowance can help you lower your tax payments and put more money in your pocket. If you save or invest that money, you may come out with a little more money in the end. Leave a comment about Average Tax Refund May Surprise You?